1. Ayurvedic health consultation : We have a detailed Questionnaires to determine one’s Ayurvedic Constitution, after which general Questionnaire is send to understand one’s Jeevancharya (general habit and habitat) to understand proneness for diseases and family history and in last session through online discussion final Ayurvedic view of diagnosis is formed. If interested the patient have to fill a consent form before ordering for Ayurvedic pack of medicines. We can assure you for medicines free from heavy metals and ingredients of animal origins and are of Organic origin. This is a bitter fact that most of the Ayurveda facilities are designed without considering the need of following very basic concepts of Ayurveda, the need of the Ayurvedic physicians, Ayurvedic therapists and clients or patients, who are primarily going to be benefited by the center. We are of the opinion that most of the entrepreneurs and Ayurveda physicians of modern times do not know what is exactly needed to establish true Ayurveda facility to effectively benefit their clients or patients. We have an experience of more than 20 years in helping to establish (Design, Create and Operate) Ayurvedic wellness centers based on Ayurvedic concepts and philosophies and moreover as per western Spa culture. Creating authentic Ayurvedic concepts and Standard operating procedures. Providing the basic infrastructure and design requirements based on Ayurvedic concepts which are essential for an authentic Ayurveda centre in co-ordination with locally available architects and builders or fabricators. Periodically supervising the facility as it comes up and making sure that it is as per the design and Ayurvedic concept of wellness. Doing the essential background research work required to create the above concepts so as the very aspect of the Ayurveda implemented is well backed up with the scientific and literary documentation required for running such an activity as per laws of the country. Sourcing the classical Ayurvedic medicines of various types, various equipments and other requirements for successful running of center. Identifying, recruiting and training the Ayurveda physicians and supporting staff (Panchakarma technicians and therapists) whose skill, motivation, knowledge and expertise are vital for the successful running of the venture. Coordinating with your financial advisors and working on a financial viability report for your project. Providing the required technical information and material which is required for the marketing of the centre, which can be used also to create audio-visual material, reading material or web promotion etc. Development of technical literatures, brochures and promotional literatures. 3. Establishment of Manufacturing facility for Ayurvedic & Herbal products: It is seen that Ayurvedic products available in Indian or overseas market of modern times are made following modern or allopathic style of selecting ingredients (based on active principles or chemical) for production of pharmaceutical products which does not have same effect same as the powdered herb curbs the disease. We at Incredible Ayurveda are of the opinion that products based on such a selection criteria are not truly Ayurveda. As they are not selected as per Ayurvedic concept: Rasa, Guna, Virya, Vipaka, Prabhava. Instead of it they are processed by means and methods without following Ayurvedic concepts. That is the reason that such products don’t stay in the market for long. Classical Ayurvedic formulations are the examples which are quite effective and are there since ancient times and are going to remain in this universe for ever. Selection of formulation made for most diseases following Ayurvedic philosophy. Classical Ayurvedic formulation based products can be developed with better efficacy and safety with wide range of application modes. Procurement and supply of organically grown herbs from Himalayan region can be made after annual requirement is confirmed. Designing, fabrication and supply of G.M.P. Approved plant and machinery for Ayurvedic pharmaceutical company suiting to Ayurvedic processing concepts. Specially designed mechanically supported vessels for smooth formulating specially of Lehya or Avleha, Gutika, Oils and Lepa can be made and supplied. Documentation required for applying fresh manufacturing license or for renewal can be undertaken. This will be having information on: Specifications for Raw materials, Finished products specification and Standard Operating Procedures etc. Training of staff for GMP & GLP compliance procedures can be done. Technical know-how for establishment for herbal extraction plants. Guidance for International certifications i.e. ISO, ORGANIC & HACCP etc. Documentation of imported Ayurvedic products for registration in India. Registration dossiers for registration of Ayurvedic products, Nutraceuticals and Personal care products in various countries as per their requirement. Label, outer carton and product insert designing as per law of various countries. Basic information on Ayurvedic concepts and philosophies is available free to all individuals on this site. Individuals are always welcome to send their query. If still feel that you need some more information in continuation to the information already with you, can have online session for information. Fixed capsules of Education programs are available with interactive sessions and with audio visual support are available in CD form or download after payment. Hard copies are will be send after receipt of payment. Lectures, seminars and workshops can be arranged at place of your convenience, for a group of any number of interested people. 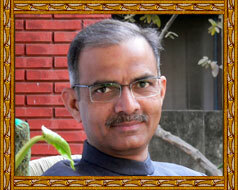 Ayurvedic education programs are organized quarterly in India for Panchakarma education. Technical help, support, guidance and assistance to individuals and organizations interested to establish Ayurveda education institutions, Seminars, Lifestyle awareness programs and Panchakarma centers etc. 6. Export Guidance and Consultation: We have a large number of Parties and Individuals interested in import of Indian made Ayurvedic, Herbal products. There are enquiries mainly for various Asian, Russian and European countries Ayurvedic and Herbal products in all forms. Herbal Products: Herbal based Personal care products (Nourishing massage oils, Shampoo, Clear soaps, Fairness and Moisturizing Creams, lotions and Gels etc. Herbal extracts:These are always in demand but prices should be competitive, as this market is volatile due to price fluctuation these days. 7. Ayurveda tour and holidays : India is popular as Ayurvedic holistic health, Holy, Spiritual and Religious tourism destination. Short and long term Ayurveda Education tours for individuals and groups are available. Long and short term programs for rejuvenation therapy for elderly and senior citizens can be had with prior appointment can be arranged.